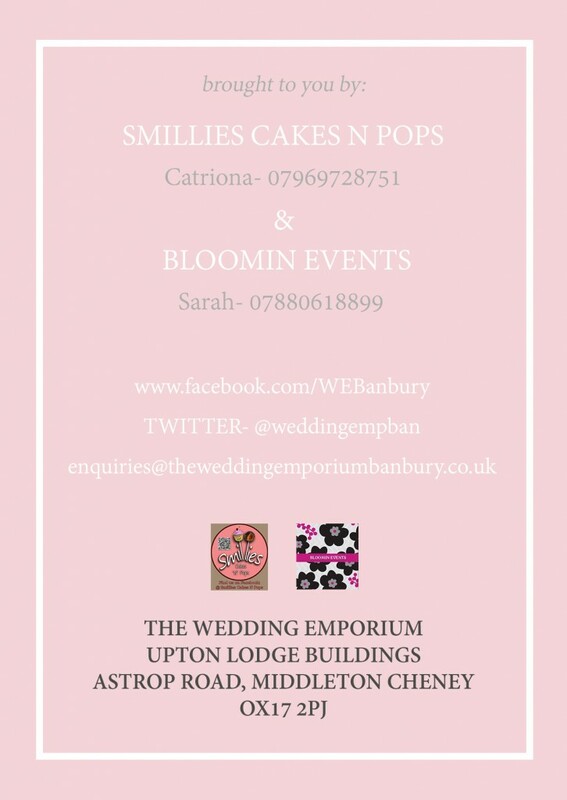 The Wedding Emporium Banbury is brought to you by Catriona of Smillies Cakes N Pops and Sarah of Bloomin Events, both established businesses with hundreds of Weddings to their credit. With decades of experience between them in event management and Weddings Sarah and Catriona are only too pleased to be able to pass on their experience and advice. They have some excellent working relationships with local suppliers and are recommended by numerous local venues. Contact us for an informal relaxed meeting and we will only be too happy to discuss your ideas for your Unique and Special Day. We are not hard sales people and want you to be enjoy your experience and relax with a slice of cake and a drink. We will help you source any supplier or a venue to suit your needs as well as all the finishing touches for your day.